Morpheus Theatre is pleased to announce the cast of Skin Flick. Time for Chinooks, Shows and Snows! At this point in the year, most companies have a show under their belts, and the theatre season is well under way! Between G&S JR, Workshops, Auditions and Performances, there is plenty going on at Morpheus these days! Don’t forget that Gift Certificates make a great holiday gift! The entire cast & crew from our 2010 production of HARVEY are doing a reunion performance June 14 – 24, 2017! Morpheus Theatre Season ticket holders can purchase their discounted tickets NOW by calling the office at 403-246-2999 or emailing TICKETS@MORPHEUSTHEATRE.CA. Tickets will be available to the public Dec 1! November 20 – Comedic Acting Workshop – Only $50 for 6 hours of instruction! 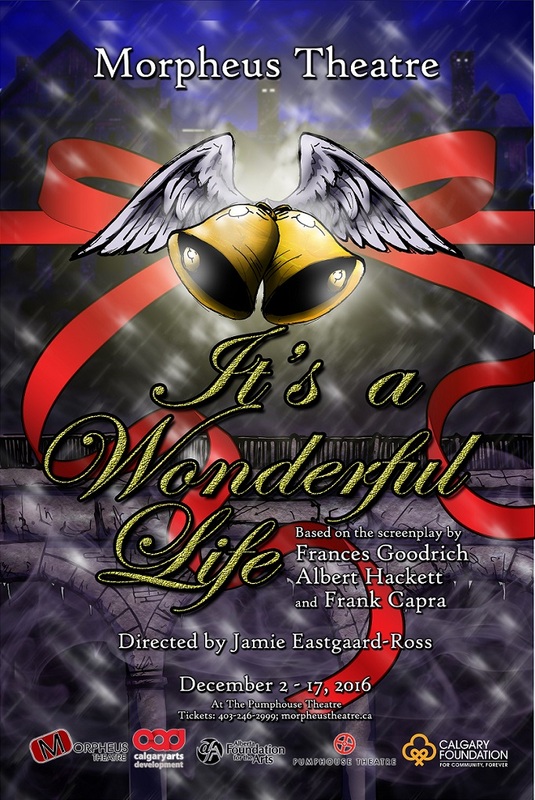 DECEMBER 2 – 17 – IT’S A WONDERFUL LIFE – Don’t miss our Christmas Classic! Buy tickets HERE! December 17 – Last day of G&S JR Theatre School before holidays! December 11 – Last day of G&S Singers before holidays – Join our non-audition chorus for laughter, patter and music! Click on the link for an update on the Singers! December 31 – Deadline for Submitting to Direct a show for 2017-2018. Click HERE for details. FEBRUARY 3 – 18 – SKIN FLICK – Keep an eye out for the Cast Announcement later this week! Do you have the Direct Stuff?